Whether you are learning about cosmetology for the first time, re-entering the field or preparing to teach others, Schilling-Douglas School has a program to fit your needs and ultimately help you find employment. 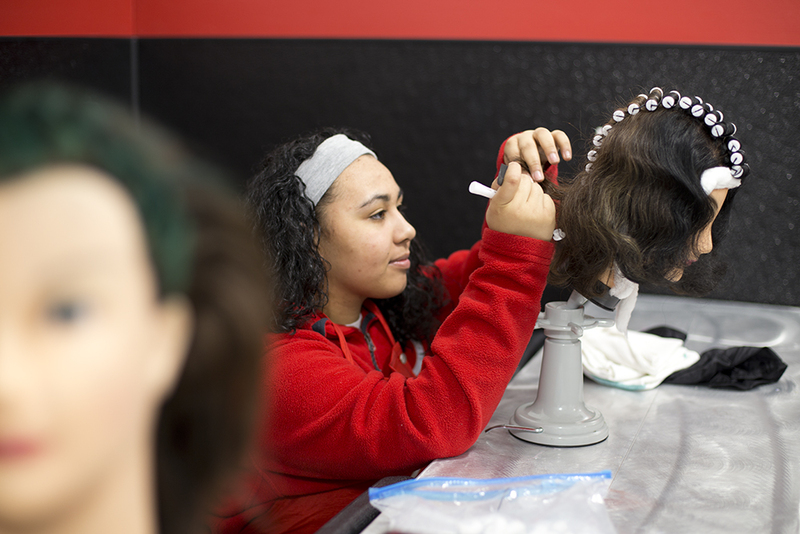 Our cosmetology program is 1500 hours in length and designed to actively engage learners of all styles, with a combination of formal classroom training and participation in a laboratory that is open to the public. 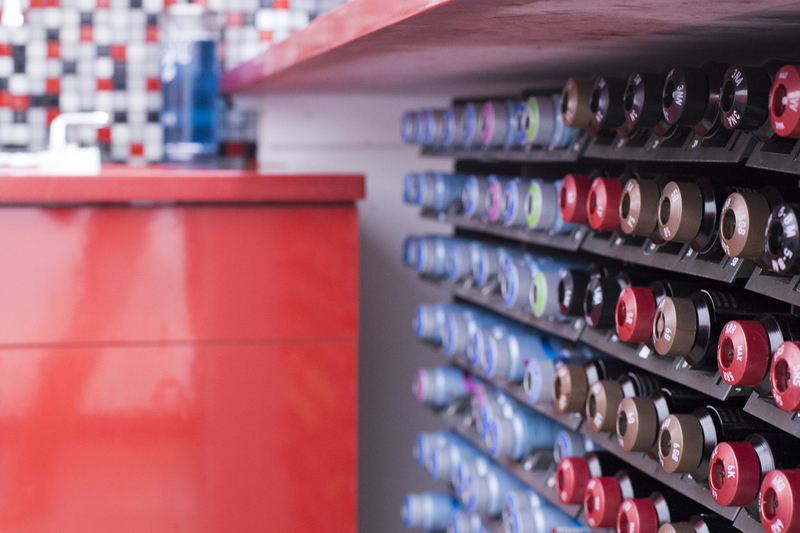 The Cosmetology program is designed to train students in the basic skills required to obtain licensure through the State of Delaware, and for competency in entry-level positions in cosmetology and related career fields. The program includes instruction in hair cutting and styling, shampooing and rinses, chemical application, hair coloring, scalp and hair treatment, wigs, manicuring, pedicuring, nail enhancement, facial treatment, hair removal, makeup, shop management, sanitation and safety, customer service, professionalism, and applicable professional labor laws and regulations. Normal completion time is 49 weeks on the full-time schedule and 19 months on the part-time schedule. Our barbering program is 1,500 hours in length and includes instruction hair cutting and styling, shaving, shampooing, chemical applications, hair coloring, scalp and hair treatments and more. 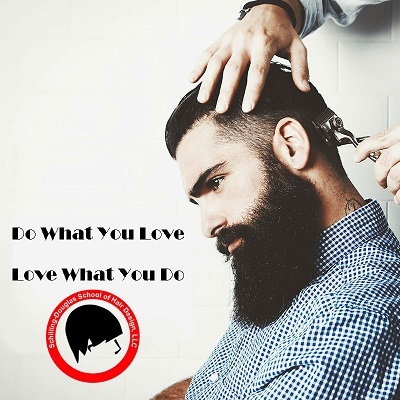 The Barbering program is designed to instruct students in the basic skills required to obtain licensure through the State of Delaware and for competency in entry-level employment in the barbering filed or a related career field. The program includes instruction in hair cutting and styling, shaving, shampooing, chemical applications, hair coloring, scalp and hair treatments, manicuring, shop management, sanitation and safety, customer service, professionalism and applicable laws and regulations. Normal completion time is 49 weeks on our full time or 19 months on our part time schedule. Our nail technology program is 300 hours in length and includes instruction in manicures, pedicures, artificial nails, paraffin treatment and skin care. The Nail Technology program is designed to train students in the basic skills required to obtain licensure through the State of Delaware, and for competency in entry-level positions in nail technology and related career fields. The program includes instruction in manicuring, pedicuring, nail enhancements (nail tips, sculptured nails, and nail wraps), polish application, nail art, salon management, sanitation and safety, customer service, professionalism, and applicable professional labor laws and regulations. Normal completion time is 10 weeks on the full-time schedule and 16 weeks on the part-time schedule. This program is designed to prepare the graduate for licensure in the State of Delaware and employment as an Instructor of Cosmetology Arts and Sciences. The Teacher Training program is designed to train licensed cosmetologists in the basic skills required to obtain licensure as an instructor through the State of Delaware, and for competency in entry-level positions in instructional and related career fields. The program includes instruction in cosmetology arts and sciences teaching principles, student learning styles, professional curricula development, instructional planning, instructional methods and aids, student counseling and career assistance, test development, classroom/clinic management, customer service, professionalism, and applicable professional labor laws and regulations. The State of Delaware has specific requirements for teacher training. A student instructor licensed in their field for more than 2 years, with more than 2 years of recent related work experience, is required to complete 250 hours of training. Normal completion time is 9 weeks on the full-time schedule and 15 weeks on the part-time schedule. A student instructor licensed in their field for less than 2 years and/or with less than 2 years of recent related work experience is required to complete 500 hours of training. Normal completion time is 18 weeks on the full-time schedule and 28 weeks on the part-time schedule. Individuals previously licensed as a cosmetologist in the State of Delaware who are seeking reinstatement of their license may complete a 500 hour cosmetology brush-up program. The Cosmetology Brush Up program is designed to update or retrain students in the basic skills required to obtain licensure through the State of Delaware, and for competency in entry-level positions in cosmetology and related career fields. The program includes instruction in hair cutting and styling, shampooing and rinses, chemical application, hair coloring, scalp and hair treatment, wigs, manicuring, pedicuring, nail enhancement, facial treatment, hair removal, makeup, shop management, sanitation and safety, customer service, professionalism, and applicable professional labor laws and regulations. This program is designed for individuals requiring the 500 hour brush up program for re-licensing in the State of Delaware. This program will provide a basic review, and will update the student on modern techniques. 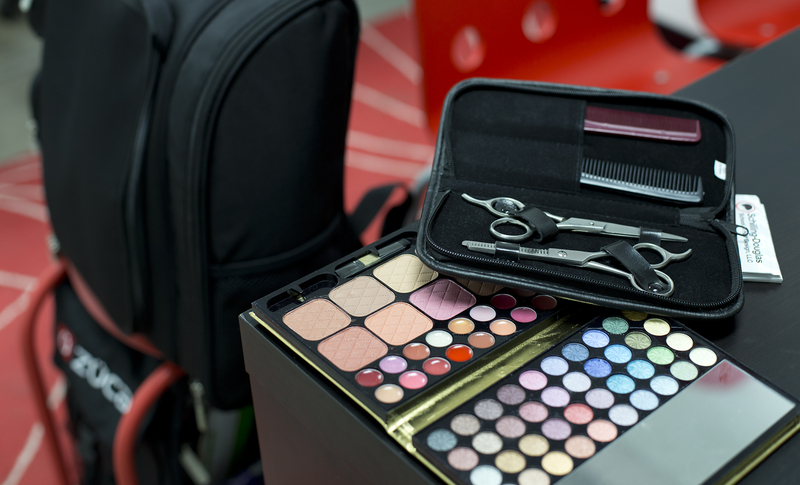 Students enrolled in this program are placed in the regular cosmetology student classroom. Normal completion time is 18 weeks on the full-time schedule and 28 weeks on the part-time schedule.